This picture was from the first Halloween party we attend. My wife and I dressed up. I was a soccer referee and my wife, I believe, was a bat. My daughter had a revolt in the hotel room and didn’t want to dress up because it was hot. Can’t say I didn’t blame her because it was hot. Advice: If you decide to go in costume, my advice is wear a costume that is very breathable and won’t stick to you when it is hot and humid out. We enjoyed seeing the characters in costume which makes for some fun photo opportunities. 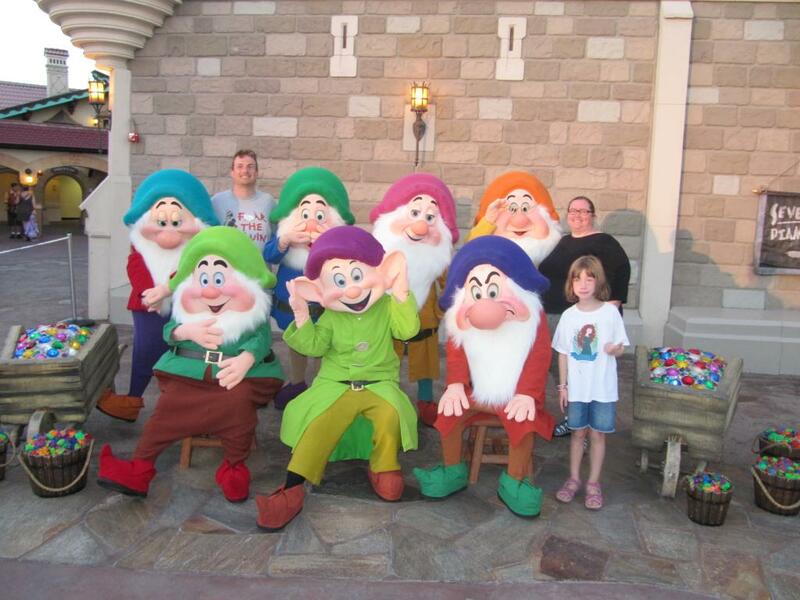 The Halloween party is one of only two times when guests can get their picture taken with The Seven Dwarfs. 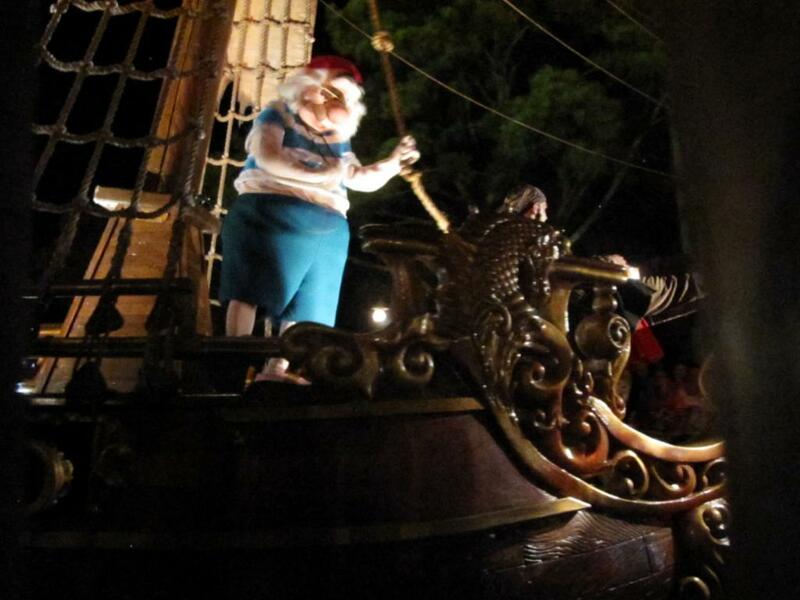 Advice: The Dwarfs usually have a long line. If you want your picture with them, get into the line right away. The rides and dance parties will still be there. The Dwarfs may not. 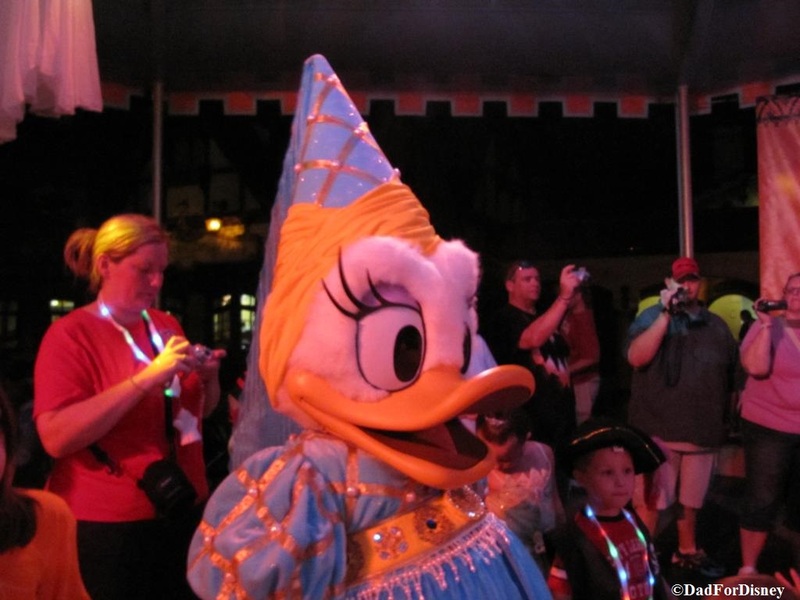 On my family’s first visit, there was a dance party involving Donald Duck and fans. 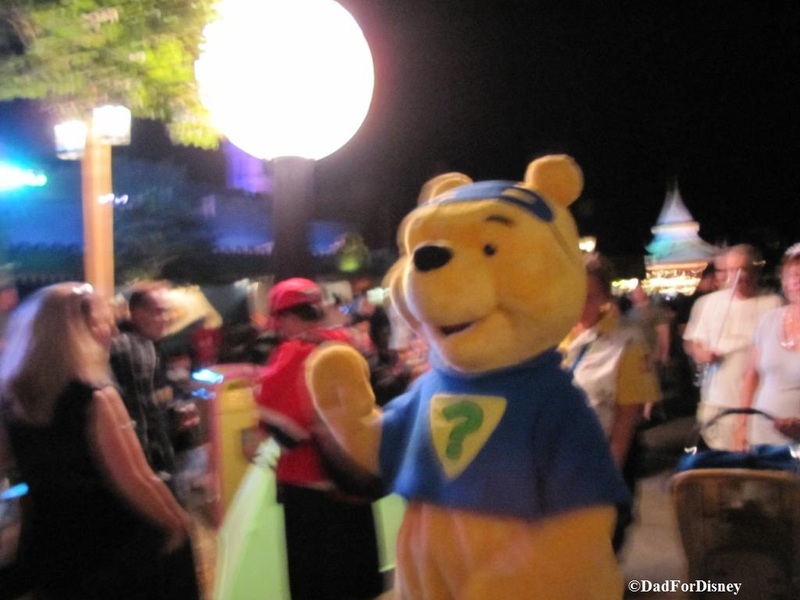 Guests can get some great informal pictures with the characters interacting with other guests. 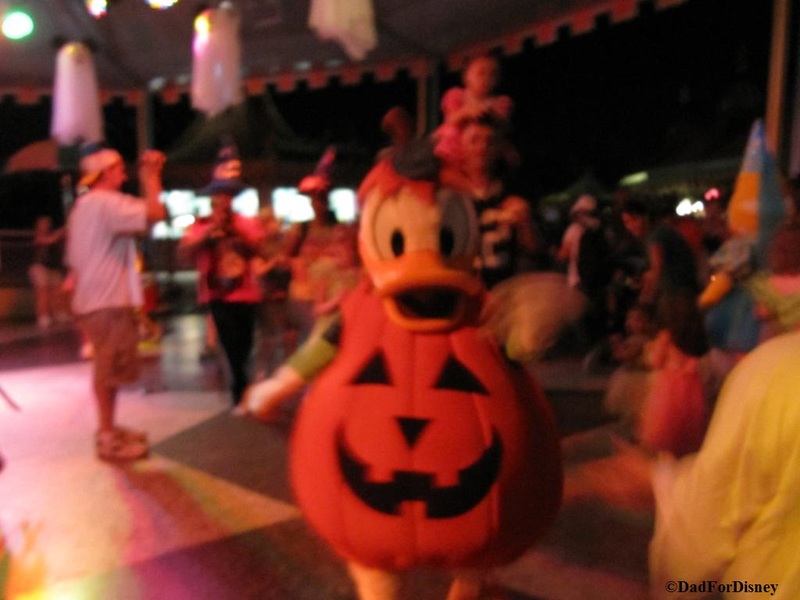 Last year’s event had four trick and treating stations and two trick and treating trails. Advice: Don’t go to these stations and trails, if you are near the end of your vacation. Otherwise, you will need to bring the candy back with you, go on a candy-eating binge, or leave the candy in the room for Mousekeeping. 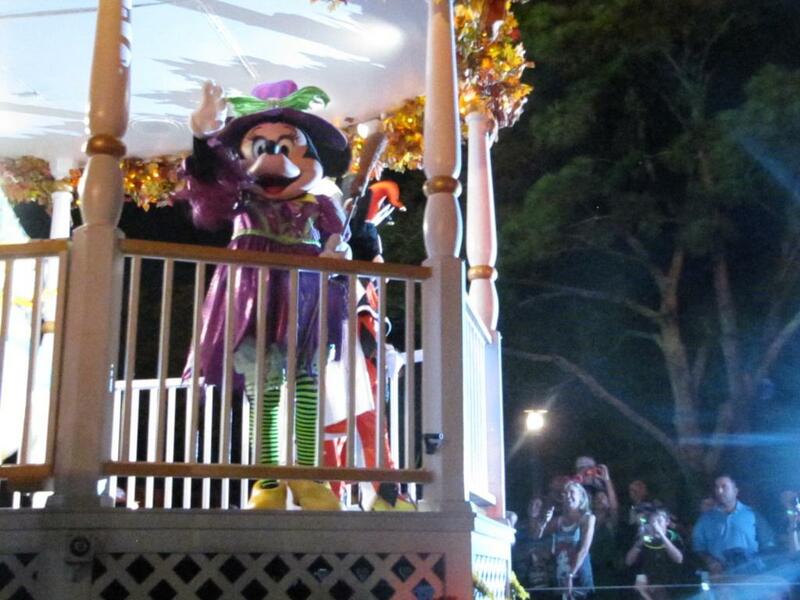 This special parade only takes place during the Halloween Party. It features regularly seen characters in costume and some rarely seen characters like the Headless Horseman. 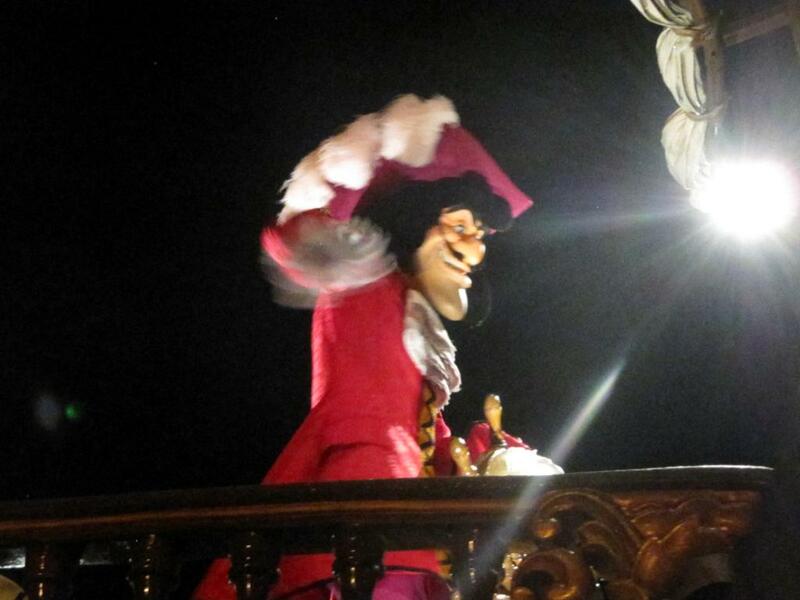 The parade takes place twice during the party, 8:35 pm and 11:15 pm, and starts in Frontierland. Advice: One of the best places to see the parade is in Frontierland where the parade start. We’ve used this location for both the Halloween and Christmas party and gotten some great pictures. The Frontierland area isn’t as crowded as Liberty Square and way less crowded than Main Street. Main Street may have the added bonus of getting Cinderella’s Castle in the background of the pictures but you will be fighting lots of other people for space to get a good shot. Over in Frontierland, these battles are a lot less frequent. 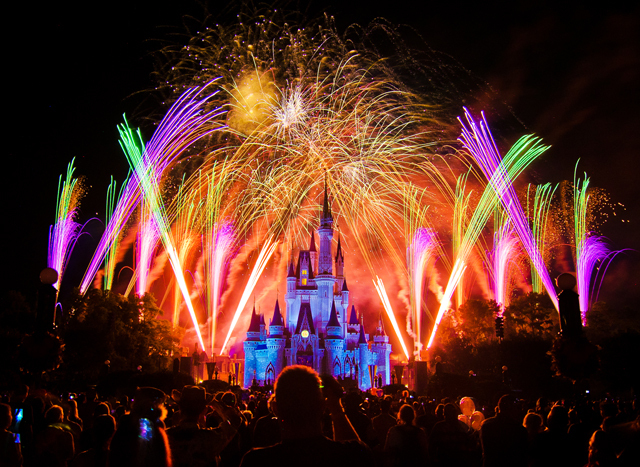 This spectacular fireworks show takes place at 9:30 pm. Personally, I’m not a fireworks fan and my daughter doesn’t like the loud noise. So, we usually head to Tomorrowland to see a show like Monsters Laugh Floor or Carousel of Progress while the fireworks are ongoing. We will watch the fireworks from The Top of World Lounge, on a different night, at Bay Lake Tower since my wife likes Wishes and likes Hallowishes even more. If you are not a DVC member, the viewing area from The Contemporary will also work. A lot of people will stake out a place on Main Street for the 8:35 pm parade and stay through the 10:00 pm showing of Hallowishes before leaving the party. If you are more interested in the parade and want a spot on Main Street, the 11:15 pm parade would be a better option for you. Added in 2015, this show features the Sanderson Sisters from the Disney’s cult classic Hocus Pocus. This show takes place twice on party nights at 9:20 pm and 10:40 pm. 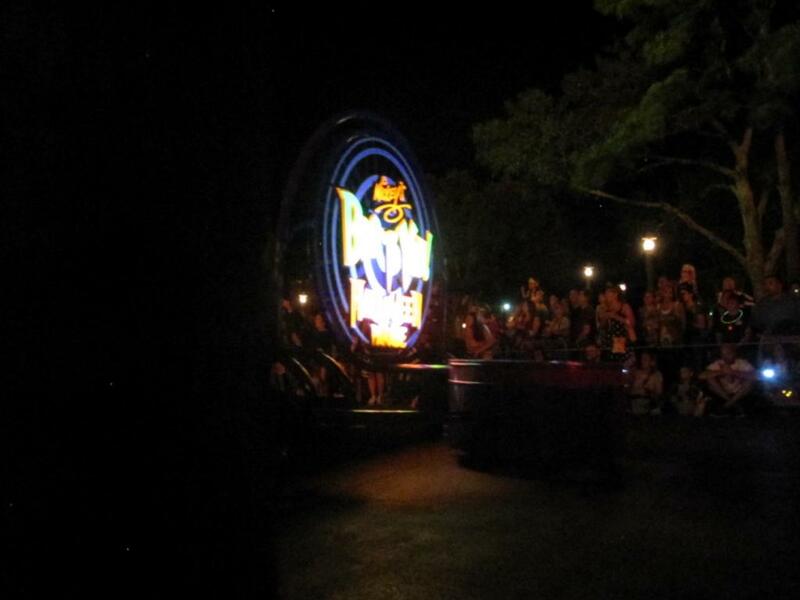 Like the Boo to You Parade, the second showing of the evening tends to have lower crowds as people tend to leave the park after Hallowishes at 10 pm.